Urad Dal is a healthy recipe to make for any Indian vegetarian meal as it is loaded with Vitamin B, iron and other essential nutrients. It is a rich source of vegetarian protein and can be a good substitute for non vegetarian food. 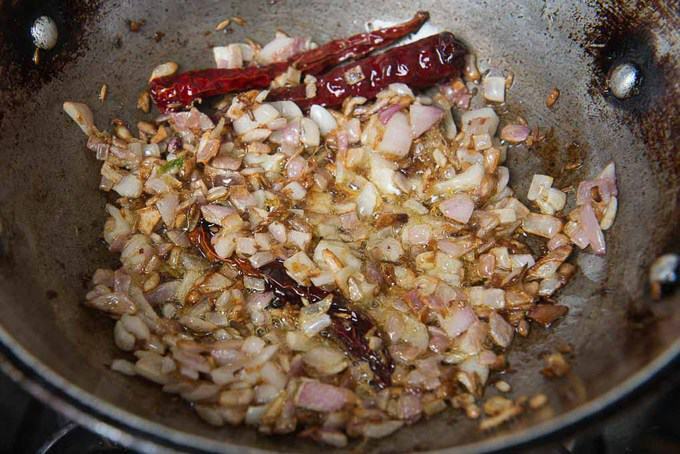 Here is how to make everyday dhuli urad dal recipe (Step by Step). Mostly grown in the southern regions of South Asia, Urad Dal is significantly used while preparing Indian cuisine. 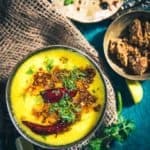 Whenever I feel like preparing a different dal during the week, I prepare Punjabi Sookhi Urad Dal or Dal Amritsari and soak in the goodness of this enriching lentil. And, without this Dal (The whole urad dal), I cannot imagine making creamy Dal Makhani which we so gladly eat with Jeera Rice. With an intention to invent one more lentil dish, I penned the recipe of Dhuli Urad ki Dal for my reference. 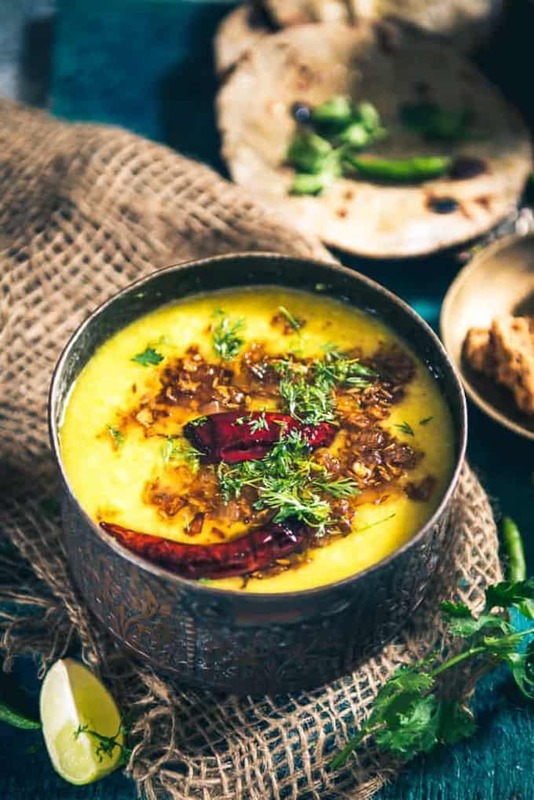 Simply made using subtle spices such as hing, zeera, turmeric powder, this Dal turns to be homely and a meal that you can feed even to your kids without a worry. Popular in the Northern as well as the Southern states of India, Urad dal is used throughout the country for making vada, rotis, parathas, dals, salads and snacks. Being full of fiber, white urad Dal is pretty easy to digest. Consumption of urad dal even reduces cholesterol and is an excellent source of vitamin B, folic acid, magnesium, calcium and potassium. It is one of the easiest accompaniment that can be prepared using this nutritious lentil. You may serve it with Parathas as well as Rice. Before you get back to work, note down the recipe of making it. “Vigna mungo, black gram, urad bean, urid bean, minapa pappu, mungo bean or black matpe bean (māṣa) is a bean grown in the Indian subcontinent. Like its relative, the mung bean, it has been reclassified from the Phaseolus to the Vigna genus. The product sold as black lentil is usually the whole urad bean, whereas the split bean (the interior being white) is called white lentil. It should not be confused with the much smaller true black lentil (Lens culinaris). What is Urad Dal called in english? Urad dal is called Split black gram in english. The Dhuli dal is called husked split black lentil. Is Urad Dal bad for your health? Urad dal is one of the richest source of vegetarian protein and vitamin B. It is also rich in folic acid, iron and magnesium. So it is definitely not bad for your health, in fact if you are vegetarian, you should cook it more often to meet your protein needs. What are the benefits of Urad Dal? This dal is a great source of vegetarian protein. It is rich in calcium, folic acid, magnesium, phosporus and other minerals. It has a lot of fibres and hence easy to digest. Urad Dal also helps reduce cholesterol and is good for health of your heart. It is also considered a natural aphrodisiac and increases libido. Does Urad Dal have gluten? Urad dal is totally gluten free. You can use this dal if you are gluten intolerant. 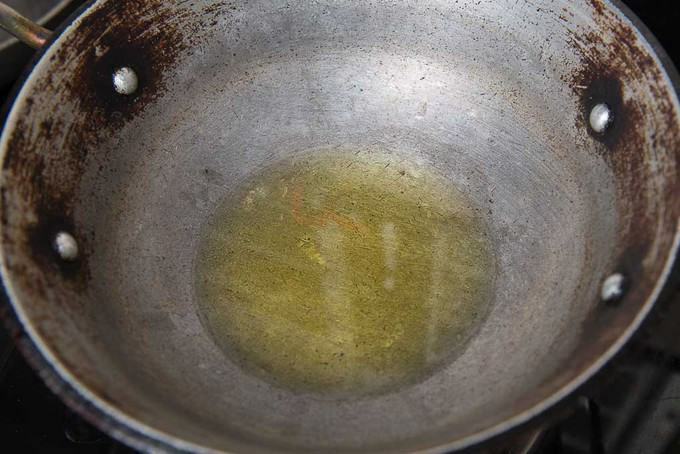 Does Urad ki Dal cause gas? There has been incidence of Urad Dal causing gas and that is the reason it is usually cooked by adding ingredients like ginger and ajwain. These ingredients helps to combat the gas and avoid bloating. Can Dhuli Urad Dal be given to babies? This Dal has a lot of health benefits and is recommended to give it to kids once they turn 8 months old. 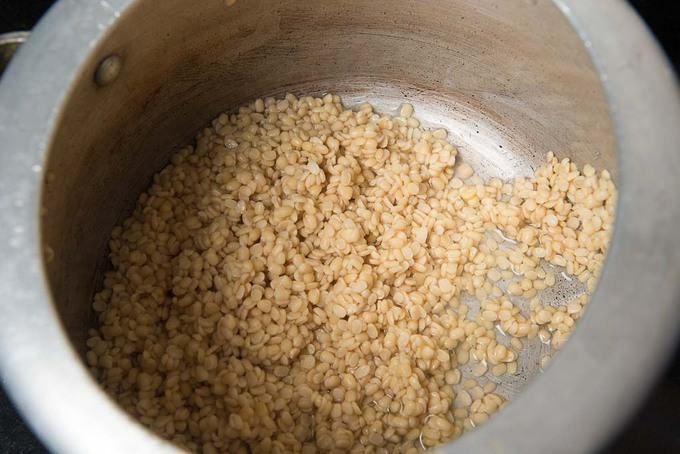 You can make khichdi using this Dal and give it to your kids. Does Urad Dal increases Uric Acid? It’s a popular belief that pulses increases uric acid and cause gout but it has not been clinically proven. In fact in the west, doctors advise patients to take lentils as their other source of proteins like meat, eggs etc are reduced. You can read more about it here. However, please consult your doctor before consuming lentils if your uric acid levels are high. Can Urad Dal be eaten during pregnancy? Since this dal is rich in iron, folic acid and other nutrients, it is recommended for pregnant women. Try to include in your diet at least once a week. Wash the dal and soak it in enough water for 30 minutes. 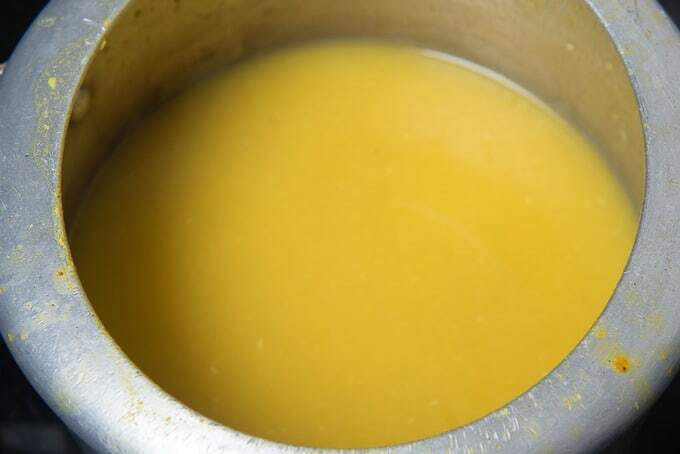 Drain the water and add the dal in a pressure cooker. 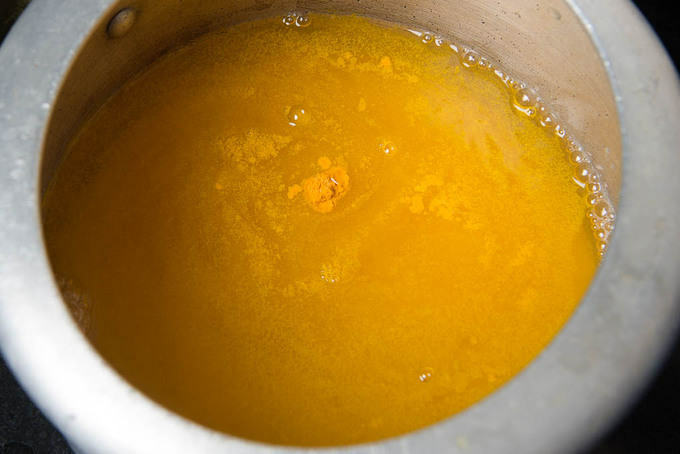 Add turmeric powder, salt and ginger along with 4 cups of water. Pressure cook until the dal is cooked. 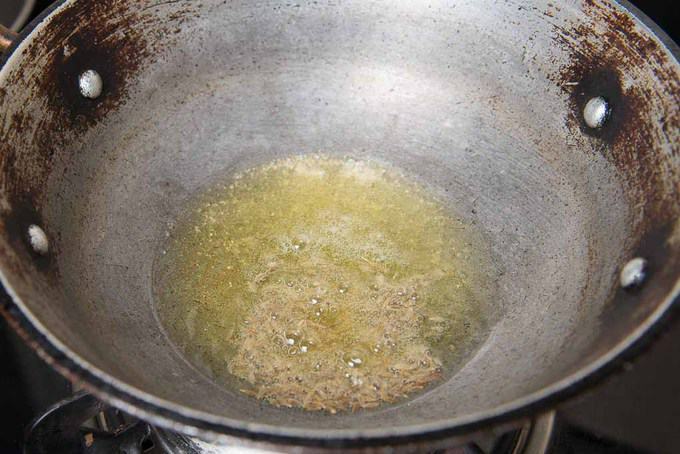 Remove the cooker from heat and let the pressure release. Mash the dal using the back of a ladle. Add more water if required. 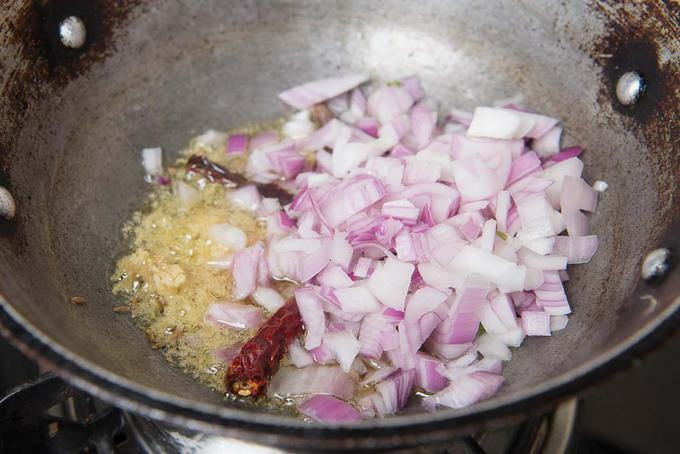 Add dry red chillies, ginger and onion and fry until onion turns golden brown. Urad Dal is one of the easiest accompaniment that can be prepared using this nutritious lentil. You may serve it with Parathas as well as Rice. Wash the dal and soak it in enough water for 30 minutes. Drain the water and add the dal in a pressure cooker. Pressure cook until the dal is cooked. Mash the dal using the back of a ladle. 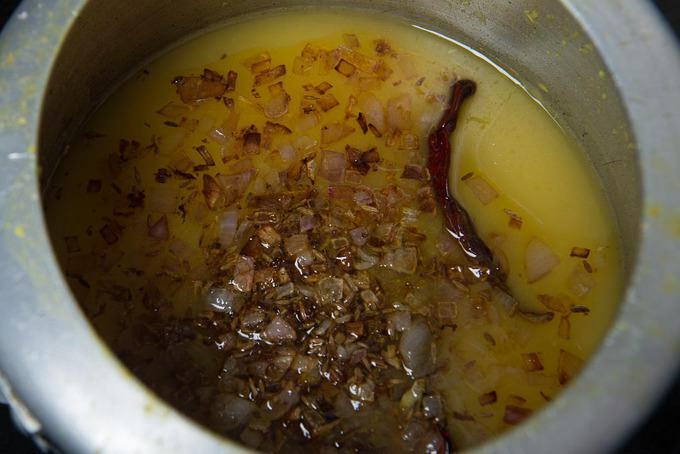 Now add the tadka in the cooked dal and mix well. Serve the dal hot with roti. Beautiful pictures and the dal looks so yummy! I recently made a sookhi urad with palak. The recipe is on our blog called Kitchenpostcards. Please drop by and leave your feedback. Thanks!